If sweetness could kill, then the ‘Gumball Machine’ cookies would have had many on their deathbeds by now as these scrumptious M&M creations are too tempting to resist. Not only does the candy work wonders, but the M&M wrappers have even been used to create a dress in on particular innovation. The TerraCycle M&M Wrapper Dress uses the peanut-flavored wrappers to create a glam gown. 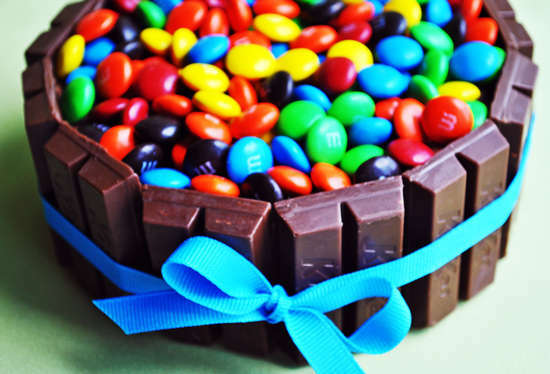 Filling your tummy with tasty treats and dressing you in trashy couture, the M&Ms brand has proved that they are pushing the boundaries when it comes to the candy industry. Their elaborate marketing campaigns and well-known candy spokesperson duo have pushed the candy to be a crowd favorite.